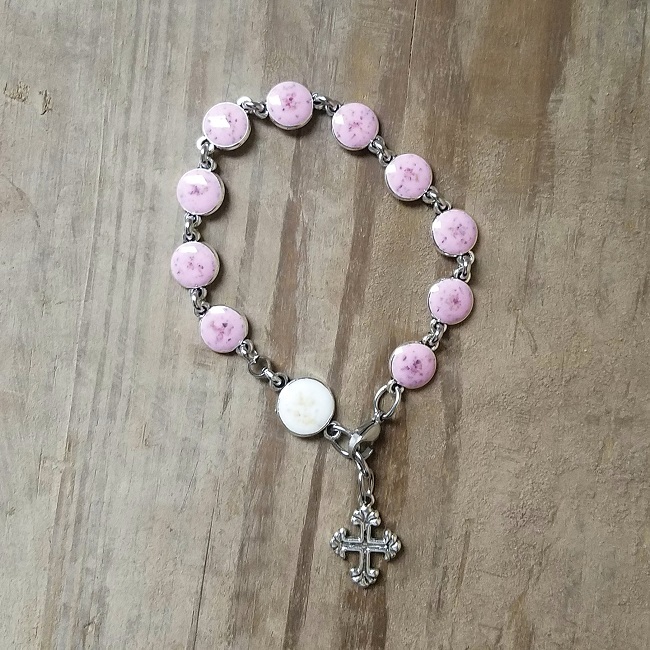 It takes a a few flower petals to make this rosary bracelet. It features 10 Hail Mary beads (10mm) with a cross on the reverse side and an Our Father bead (10mm), – a single decade of a rosary. Beautiful treasure to wear and pray. 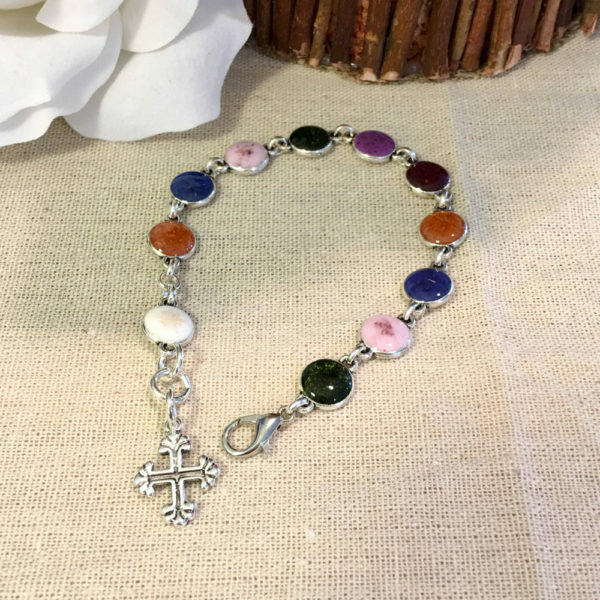 Tell us what type of flower(s) and color(s) you would like us to use in the bracelet…..(Our Father bead and Hail Mary beads). In the comment box on the checkout page, leave us a note letting us know when we can expect your flowers. It takes a a few flower petals to make this rosary bracelet. It features 10 Hail Mary beads(10mm) with a cross on the reverse side and an Our Father bead(10mm) – a decade of a rosary. Beautiful treasure to wear and pray. Tell us what type of flower(s) and color(s) you would like us to use in the bracelet…..(Our Father bead and Hail Mary beads) In the comment box on the checkout page, leave us a note letting us know when we can expect your flowers.